A judge has tossed out a New York lawsuit against Fox News by former host Andrea Tantaros, saying her 'vague, speculative and conclusory allegations' did not withstand a motion to dismiss. The lawsuit, which was dismissed on Friday, had alleged Fox tried to torment Tantaros after she complained about sexual harassment. Fox News Network had urged the lawsuit be rejected, saying the claims were a paranoid fantasy or a deliberate hoax. 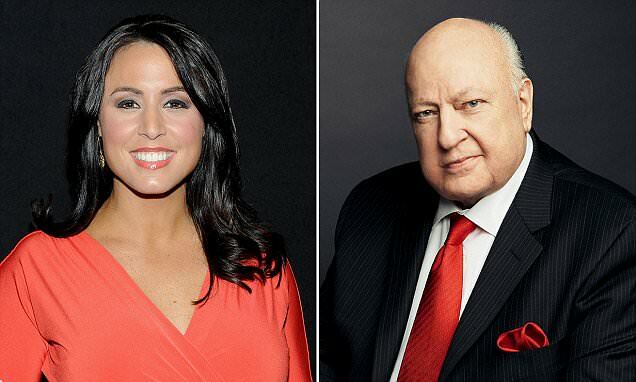 Tantaros' suit, filed against Fox News Network, Roger Ailes, William Shine, Irena Briganti, Peter A Snyder and others, was torn to pieces by U.S. District Judge George Daniels. Daniels said Tantaros' claim was 'based primarily on speculation and conjecture', in court documents obtained by Deadline. 'Moreover, she fails to adequately make out the basic elements of her claim,' he said.